The Arvo Pärt Centre would like to make the composer’s music and his thoughts accessible. Knowledge about his work needs to be passed on to future generations and conveyed throughout the world. The “heart” of the Arvo Pärt Centre, the archive, will become the central point for material available for study and research. The Arvo Pärt Centre aims to become an open meeting place for musicians, musicologists, research fellows, schools and everyone interested in the music of the composer and its genesis. 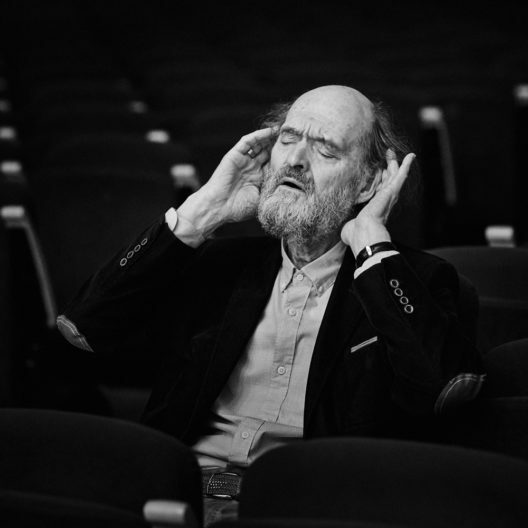 In addition to its own income from the sale of tickets and other items and state subsidies from the Republic of Estonia, the Arvo Pärt Centre finances its activities with the generous help of its members. When you make a donation, you are giving much more than financial support; you are helping us to cultivate an environment for researching the work of Arvo Pärt – his music and its message. Through your help we can extend the archive and with it make Arvo Pärt’s heritage accessible to the public. Whether you are a company, a foundation, or an individual contributor, discover the various ways in which you can partner with the Arvo Pärt Centre.